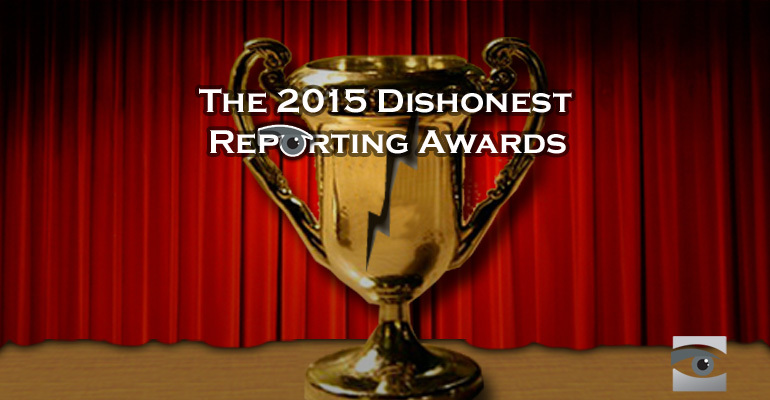 (BIN)—Media watchdog organization HonestReporting, which monitors anti-Israel bias in the media, has announced the recipients of its 2015 Dishonest Reporting Awards. 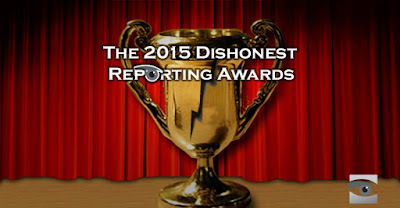 The Dishonest Reporting Awards are bestowed upon the year's top eight worst offenders against journalistic integrity and professional standards when it comes to reporting about Israel. Among this year's winners are left-wing Israeli newspaper Haaretz and Britain's Daily Mail. Also listed are the New York Times, reporter Brian Williams, and MSNBC. Eventually, the New York Times was forced to issue an editorial statement which admitted that the article, as originally worded, was factually incorrect, and that no "credible historian" would deny either the existence or the location of the Jewish Temples. The last Dishonest Reporting award went to MSNBC for airing a map of Israel which grossly misrepresented the "Palestinian loss of land" since 1946. The network aired an apology a week later acknowledging that the maps were misleading.